HGST, an subsidiary of Western Digital, has released a massive 10 TB helium-filled hard drive designed for datacenters and other enterprise applications. The new hard drive, called the Ultrastar He10, features seven platters spinning at 7,200 RPM inside a sealed, helium-filled, standard-height 3.5-inch case. Impressively, unlike other hard drives of this capacity, the He10 uses perpendicular magnetic recording (PMR), which has been the hard drive recording standard for nearly 10 years and provides the best performance. 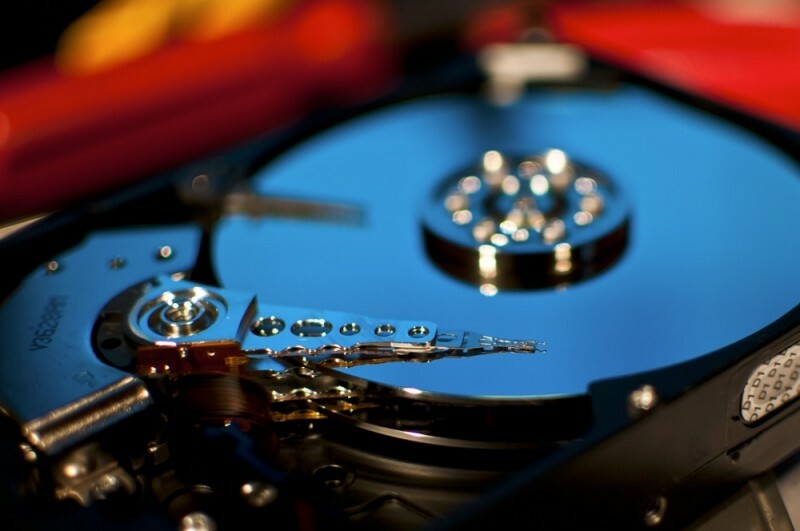 Previous drives of a similar capacity have used shingled magnetic recording (SMR) to increase the areal density of platters, though this technology negatively affects write speeds in some circumstances. Rather than opting for fewer platters with SMR, HGST has managed to develop the He10 by simply cramming more platters into a standard 3.5-inch case, while retaining PMR technology. The inclusion of seven platters in a 3.5-inch hard drive is something Seagate hasn't managed to achieve, which is why the company hasn't released a drive larger than 8 TB. HGST, on the other hand, has used helium to reduce air resistance within their new drive, allowing them to slot in an extra platter without significantly affecting performance or reliability. The He10, which is available in an 8 TB capacity as well as 10 TB, boasts 256 MB of cache and either SATA 6 Gbps or SCSI interfaces. The 10 TB model is capable of 249 MB/s transfers, while the 8 TB is rated at 225 MB/s, both with read/write seek times of 8/8.6 ms and power consumption ratings under ten watts. HGST hasn't announced how much the Ultrastar He10 will cost, but as it's designed for datacenters, it won't be cheap.